Cromonimet Steel Ltd is engaged inIndustrial suppliescan offer wide range ofWelding, Rods, Electrodes Wiresfrom ready stock or on make to order basis are currently supplying to UK, Iran(Tehran), Saudi Arabia, Spain, Bahrain, Nigeria, Dubai, Egypt, Malaysia, etc. various steel products such as Angles, Channels, Beams, Billets, Blooms, Round Bars, Square Bars, Rectangular Bars, Flat Bars, Forged Bars, Rolled Bars, Concast Bars, Pipe Flanges, Elbow, Tee, Reducer, Cross, Stub End, End Caps, Forged Stampings, Pipes, Tube, Tubing, Fasteners, Bolts, Nuts, Washers, Screws, Studs, Plates, Sheets, Coil, etc. Ador Welding Electrodes, Alloy Electrode, Aluminium Welding Wire, Arc Welding Electrodes,ESAB Hardfacing Rods, ESAB TIG Welding Rods, ESAB Welding Electrodes, ESAB Welding Wires, Flux Cored Wire, Hardfacing Rods, Low Hydrogen Electrode, MAG Welding Wire, MIG Welding Wire, MIG Wire, Mild Steel Welding Electrode, Mild Steel Welding Rod, Non Machinable Electrodes, Saw Welding Wires, Stainless Steel Electrodes, Stainless Steel Flux Cored Welding Wire, Stainless Steel MIG Welding Wire, Stainless Steel TIG Filler Rod, Stainless Steel Welding Electrodes, Stainless Steel Welding Rod, Stainless Steel Welding Wire, Tig Welding Wire, Tungsten Electrodes, Welding Electrodes, Welding Rods, Welding Wires, etc. We stock, supply, export, wholesaleWelding, Rods, Electrodes Wireswhich are used in applications of Engineering, Construction, Oil Field, Offshore, Shipbuilding, Nuclear Projects, Marine Projects, Medical, Instrumentation, etc. We can supply smaller quantities ofWelding, Rods, Electrodes Wiresfrom our associated manufacturing unit in India. Largest Supplier and Stockist of S.S 316 Filler Wire. We are engaged in offering our clients a wide array of Stainless Steel Wire & Rods. These wire rod is used the construction of Trolleys, Centrifugal Baskets, etc. Our products are made available to our large clientele at very reasonable prices. 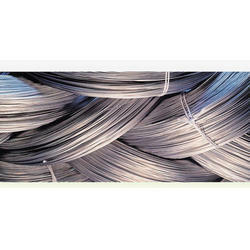 Cromonimet Steel Ltd Manufacturer and Stockist of S.S 304 / 316 / 321 Square Wire. We are engaged in offering our clients a wide array of Stainless Steel Wire & Rods. This wire rod is used the construction of Trolleys, Centrifugal Baskets, etc. Our products are made available to our large clientele at very reasonable prices. Looking for Stainless Steel 316 - 304 Filler Wire ?